THE GLOBE AND MAIL – Ken Coates and Brian Lee Crowley share their thoughts on the shale gas exploration protests in New Brunswick and their implications for resource development. BEACON NEWS – In this op-ed by Brian Lee Crowley and Ken Coates, the reality of First Nations involvement in the Northern Gateway Pipeline is discussed in the context of current Aboriginal viewpoints on resource development. THE HILL TIMES – National Chief Shaun Atleo responds to two Macdonald-Laurier Institute reports that highlight some of the pressing challenges and opportunities for First Nations in Canada. NATIONAL POST – Aboriginal Canadians are more determined than ever to take advantage of the country’s strong natural resource economy. 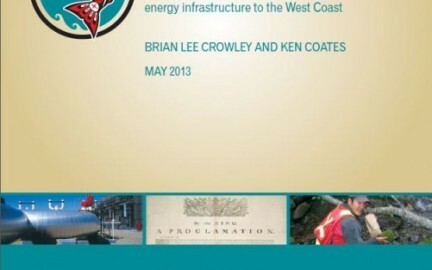 Ken Coates and Brian Lee Crowley outline the role of First Nations in resource development and the benefits this could have in the future.